Coventry – You May Enjoy The Month Of May! Is it really May already? We are heading towards summer (and snap General Election to boot!) It’s also time to stop eating those Easter leftovers- but that doesn’t mean that you can’t enjoy yourself this month. As well as studying and revising for upcoming exams, Downing Students believe that May is a great month to go out and socialise too. You can start soaking in the Vitamin D from the sun as the British weather will just get better and better. Not only that, there are some fantastic new releases and activities this month you can enjoy in that all-important down time. Keep some time back for reading a brand new book, soak up some cool sounds at a local gig, watch a new movie (with popcorn, naturally!) and grab a too-good-to-miss student meal deal at a cool café or restaurant in the town. Don’t worry, our Coventry team of experts have the month of May all sorted out for you! In the last days before her death, Nel called her sister. Jules didn’t pick up the phone, ignoring her plea for help. Now Nel is dead. They say she jumped. And Jules has been dragged back to the one place she hoped she had escaped for good, to care for the teenage girl her sister left behind. But Jules is afraid. So afraid. Of her long-buried memories, of the old Mill House, of knowing that Nel would never have jumped. And most of all she’s afraid of the water, and the place they call the Drowning Pool . 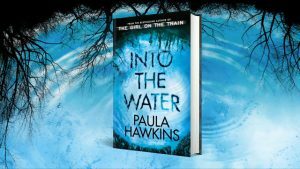 . .
More information about Into The Water can be found here. 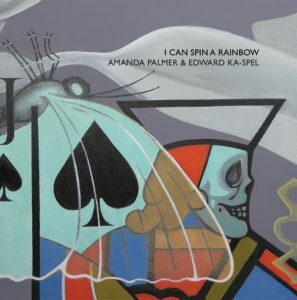 I Can Spin A Rainbow marks the first full-length collaboration between Palmer and Ka-Spel, founding member of visionary Anglo-Dutch band The Legendary Pink Dots and one of her greatest artistic heroes. The album is the fulfilment of a lifelong dream for Palmer, an avowed fan of Ka-Spel and the Legendary Pink Dots since discovering their psycho-theatrical, multi-textural work in her teens. Recorded largely on Ka-Spel’s computer, I Can Spin A Rainbow is a truly collaborative effort, “a spiritual experience,” says Palmer, in which both artists’ stories, song fragments, poems, and lyrics became totally meshed with loops, melancholy piano, and unusual rhythms. The results range from the enchantingly minimal The Clock at the Back of the Cage and the album-opening track Pulp Fiction which is both mysterious and broadly theatrical. More information about I Can Spin A Rainbow can be found here. 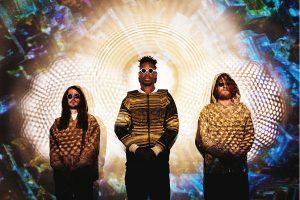 Indie Jazz outfit The Comet is Coming are a London-based band formed in 2013, featuring Danalogue the Conqueror – keys, Betamax Killer – drums and King Shabaka – sax. Inspired by the late avant-garde Jazz luminary Sun Ra, the band released their debut EP, “Prophecy” in 2015, followed by their debut 2016 album, “The Spirits”, which was nominated for the 2016 Mercury Prize. If you like your music psychedelic, experimental and ‘far out’ then this one is definitely one not to miss. More information about this gig can be found here. Director Ridley Scott continues to terrify us all over again with the latest instalment of his iconic Alien sci-fi horror franchise: Alien: Covenant. The film chronicles the voyage of the colony ship Covenant, bound for a distant planet, whose crew makes a terrible discovery. They’re undertaking the first large-scale colonisation mission, and their new world was supposed to be a paradise. But in reality, it’s a hell: as the crew discover threats and creatures more horrific than they can imagine, their quest for a new home quickly turns into a desperate attempt to escape. 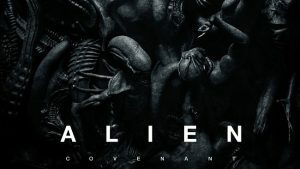 More information about Alien: Covenant can be found here. Behold Braxi, a vocal duo both classically trained with 4 octave vocal ranges. Back by popular demand at the Albany, the duo journey from the realms of classical music to top 40 pop, holding the audience spellbound. They pay tribute to some of the most iconic artists, ranging from Andrea Bocelli to David Bowie to Eurovision’s most talked about performers, and everywhere in between. If you like classical crossover with a twist, this is for you. To find out more go here. 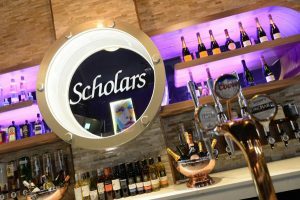 Scholars has been dubbed the city’s best club for students and with the friendliest doormen, intimate atmosphere, reasonably priced drinks and excellent fun party music. The club boasts a large regular client base; students travel from neighbouring cities to enjoy the atmosphere and bask in the eclectic music and clientele. Expect the dance floor to throb to indie classics from the Stone Roses to the Stereophonics with a bit of Abba and the like thrown in for good measure. The venue has just had an expensive makeover too so expect nice surroundings too and good disabled access. 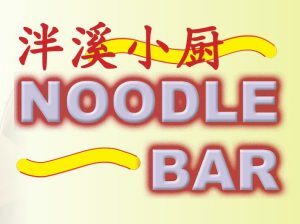 Noodle Bar is a legendary place in Coventry for cheap, filling and delicious food. You can get a generous bowl of quality Chinese food for literally £6/£7. Just select a meat (or non-meat), a cooking style with vegetables/sauce and the type of noodles you want. Meals are prepared by the city’s fastest chefs, so there is no long wait for your food! Delicious, nutritious, fast and cheap. For more information go here.